Wnt proteins are signaling molecules that play critical roles during embryonic development and in the regeneration of adult tissues. They bind to Frizzled and LRP family receptors on the cell surface, triggering a series of events that cause Β-catenin to enter the nucleus and activate transcription factors that control cell fate and cell proliferation. Mutations in components of the Wnt pathway lead to developmental defects and are common in cancer. 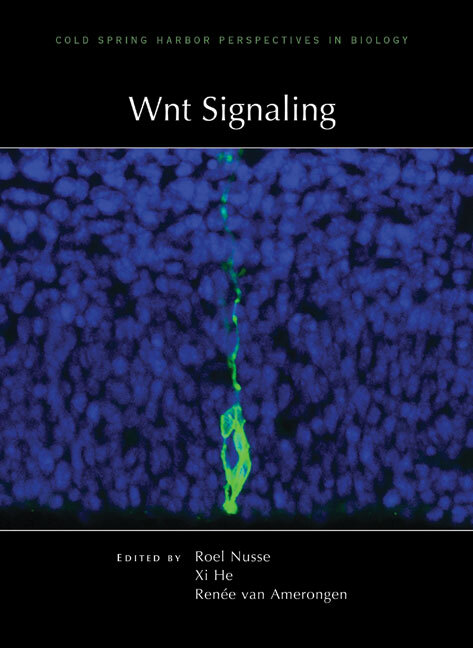 Written and edited by experts in the field, this collection from Cold Spring Harbor Perspectives in Biology covers all aspects of canonical Wnt signaling, as well as β-catenin-independent Wnt signaling and cross-talk with other pathways. The contributors examine the numerous Wnt ligands; their production, secretion, and interactions with components of the extracellular environment; and details of the downstream signaling pathways that mediate the effects of Wnt proteins on cells. The roles of Wnt signaling in stem cell self-renewal, cell polarity, body-axis specification, wound healing, and other aspects of normal development and physiology are also covered. This volume includes discussion of Wnt signaling in cancer, skeletal defects, neurological disorders, and other human disease states. Thus, it is an indispensable reference for cell and developmental biologists as well as those, especially in the fields of stem cell biology and regenerative medicine, who are interested in targeting the Wnt pathway for therapeutic purposes.